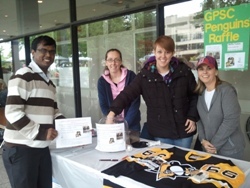 The GPSC is a community of Duquesne University graduate students. All graduate and professional students are automatically members of the GPSC. We hold monthly meetings to discuss issues and concerns of graduate students, get to know fellow students, and to support each other. 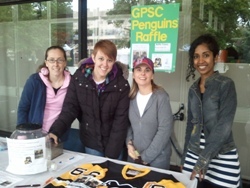 While all graduate students are encouraged to attend GPSC meetings and events, each department must have at least one student signed in/in attendance at each meeting to be considered "in good standing" with GPSC. GPSC representatives also serve as the graduate student representatives on university administrative committees including the Graduate Council, Library Council, Student Government Association, etc. GPSC will therefore also discuss any concerns or questions from the university administration to provide them with an overall response from the graduate and professional students. To keep in touch with our organization like and follow us via the social media links to the right!